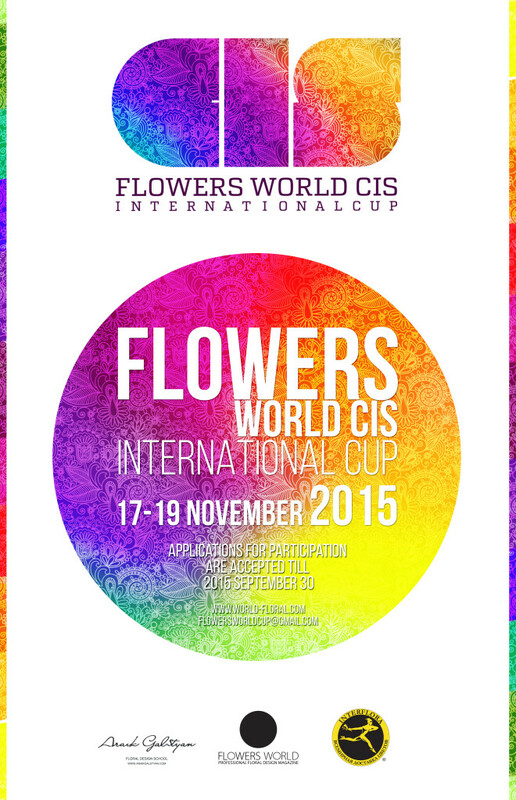 Browsing articles from "Июль, 2015"
Flowers World CIS International Cup. 1rd place — the certificate of study at Araik Galstyan Moscow International Floral Design School in the amount 3000 euros. To participate in the competition can only professional florists designers from CIS countries and abroad with experience in floristry from 3 years and is currently working on a specialty. The completed application form, which must be downloaded from the link . Applications for participation are accepted till 2015 October 20. 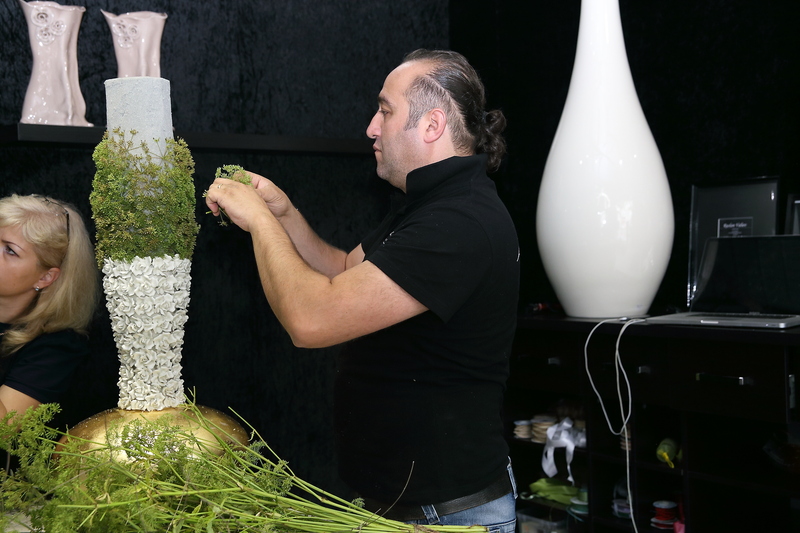 The main goal of the competition — enhancing the prestige of the profession florist designer in CIS countries. Our task is to maintain a respectful attitude to flowers and wildlife, as a form of propaganda floristry the world of culture and promotion of cultural exchange between the different countries of the world. 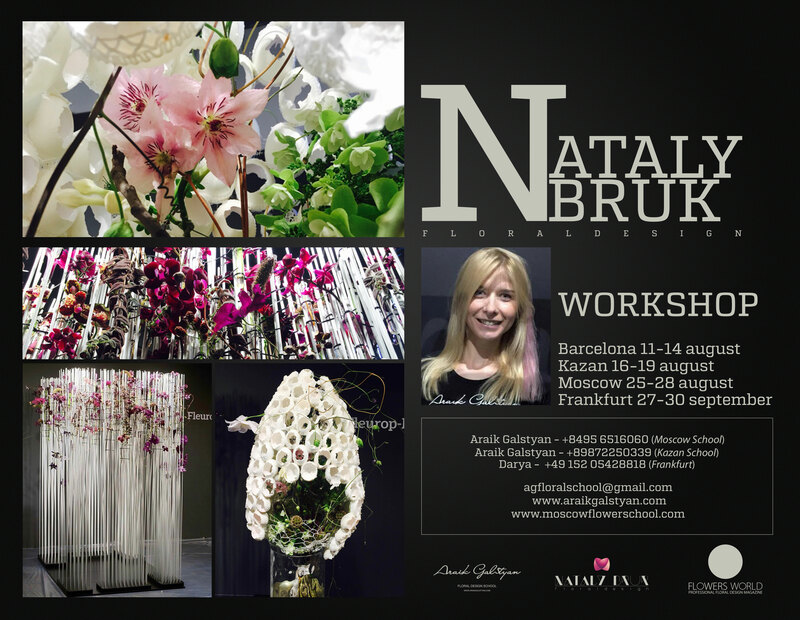 Student of Araik Galstyan Moscow International Floral design school Nataly Bruk has already began teaching. Price per day -3000 rub. Applications can be sent to agfloralschoo@gmail.com. This fall, from 8 to 10 September, we are going to enjoy FlowersExpo International Exhibition in Moscow, an amazingly colorful and bright professional event, which will be held in «Crocus Expo»IEC. Let’s ask Nadezhda Grigoryeva, the exhibition director, what we shall be looking forward to. — What florists should expect from FlowersExpo? — Traditionally, the most important floral forum enjoys wide popularity and equally attracts both professionals and amateurs. 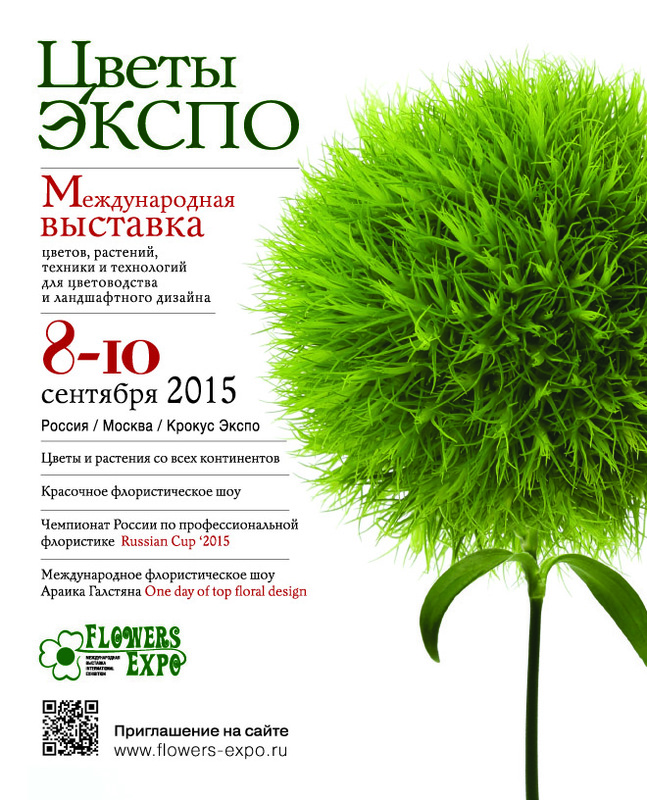 The exhibition program includes: Open Russian Championship on Professional Floristry organized by the National Guild of Florists, Araik Galstyan’s International Floral Show entitled «One Day of Top Floral Design». Moreover, during the exhibition in a non-stop show will be held screenings and workshops of the most acknowledged florist-designers from Russia, Holland and other countries. So, florists and other consumers of floral products will not be bored since they will witness an outstanding show. Over the years, the exhibition has become an event not to be missed. Participate and visit FlowersExpo. Be there where your customers, partners and competitors are. The whole article you can read in the issue of Magazine Flowers World. 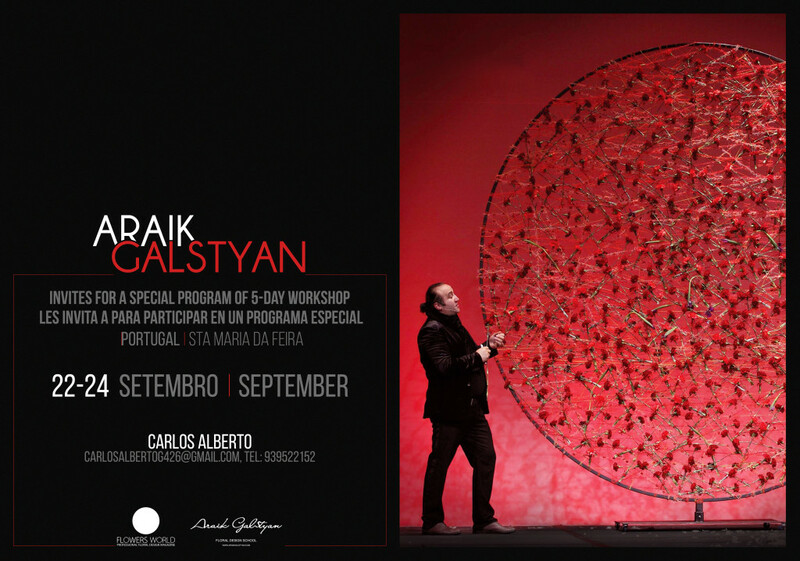 We invite for the workshop of Araik Galstyan in Portugal. A special program of 3-day workshop. You can even attend seminars on specific days when you want. Design for a wedding, from the simple to the unique — interesting forms and methods; Key to successful restaurant — table decorations from the chic reception to the garden party; New songs — new technology for free flower design; Contrasts — as a simple way to display a different feeling. Trends commercial floristry: new forms and techniques. Interior design in terms of materials and innovative concepts. The financial side of floral design: the combination of creativity and profits in commercial floral design. Places are limited. A certificate is issued. Price one day with lunch 100 Euro. Please send applications to agfloralschool@gmail.com, writing your data and convenient date choice. 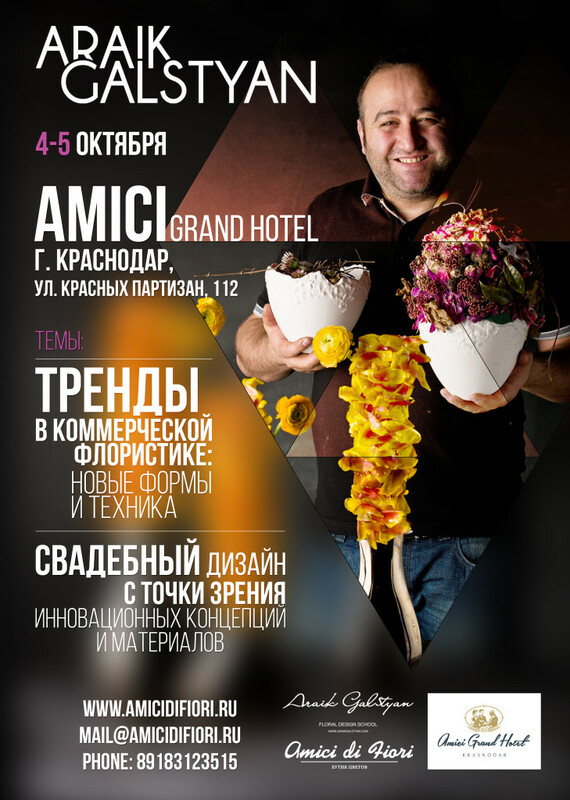 We invite all florists to the workshop of Araik Galstyan in Krasnodar on 6-7 of October. Flowers and floral material provided. You should have the following tools: wire cutters, pliers, glue gun, knife, secateurs and scissors. Price – 35 000 rubles. October 8, involved in floral show (included in tuition). 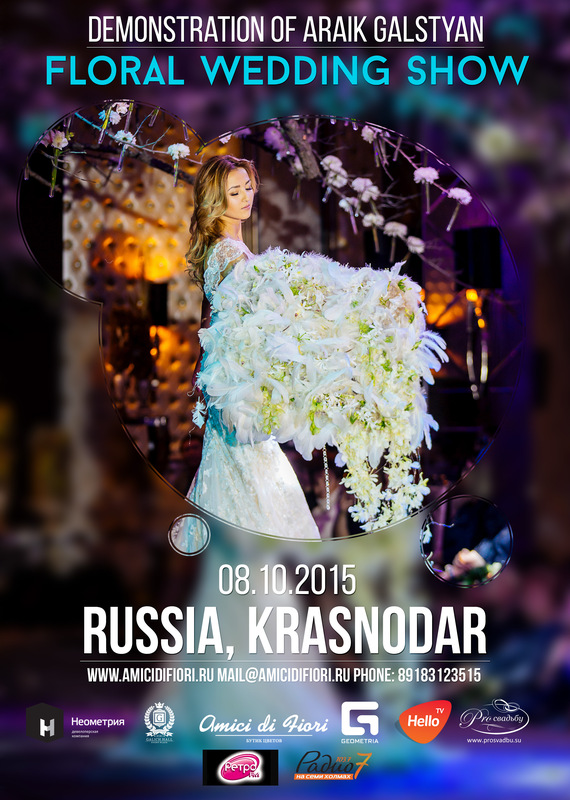 8 Octоber 2015 in Krasnodar will host the only event in the South of Russia have not seen the floral show with a fashion show of wedding and evening dresses under the guidance of world-renowned floral designer Araik Galstyan. Bouquets models directly into the eyes of the guests of the show will be complemented by Maestro fresh flowers and natural materials. Partners of the event: Academy of the Holiday, Amici Grand Hotel, About the Wedding, Radio 7, Hello TV, magazine «Flowers World» Magazine «Flowers World». Ticket price from 2000 rubles.